How do my products respond to my Remote Control? This rather depends on the age of your product. The first remote control product made by B&O was the Beomaster 6000 quadraphonic receiver. This used an ultrasonic remote control that operated only the receiver. 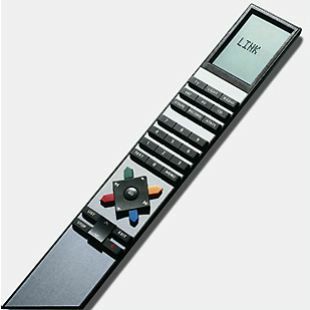 The first Beosystem to offer remote control was the Beosystem 2400 which had a similar ultrasonic remote control which again worked via a receiver on the Beomaster 2400. What changed however was the addition of a 7 pin DIN socket for the record player. If either a Beogram 2400 or 4004 was attached to this socket, messages were sent to the Beogram from the Beomaster. This allowed the gram to be started, stopped and paused. After this, B&O moved on to using infra-red remote controllers and refined the 2400 system into what is known as Datalink. This was an electronic language which was used to allow Beomasters to control other sources and for the sources to communicate their status to the Beomaster. This system was first seen in the Beomaster 8000, Beogram 8000 and Beocord 8000. Units could be switched on and controlled by remote but could also be worked using the control panels on the units themselves, with the actions on one unit controlling the others. This system was refined through the years to include TVs and when used in this way was referred to as Audio Aux. It has recently been dropped as B&O now uses Masterlink, a language that links systems.